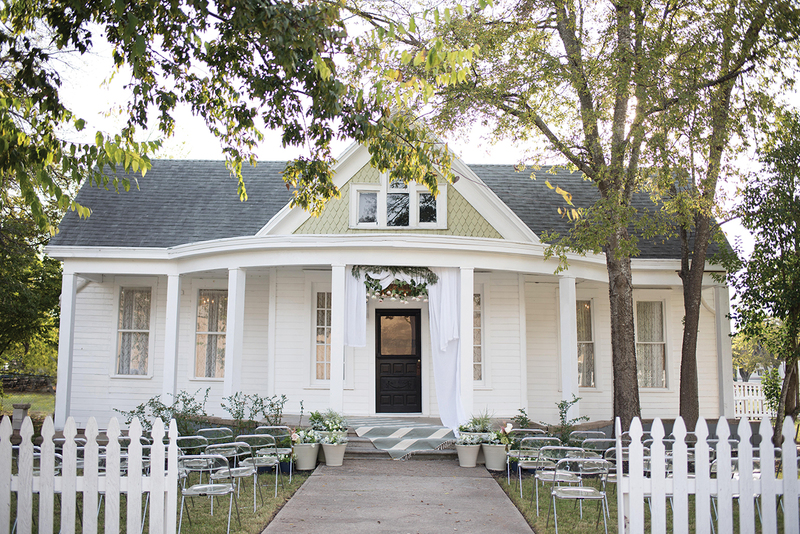 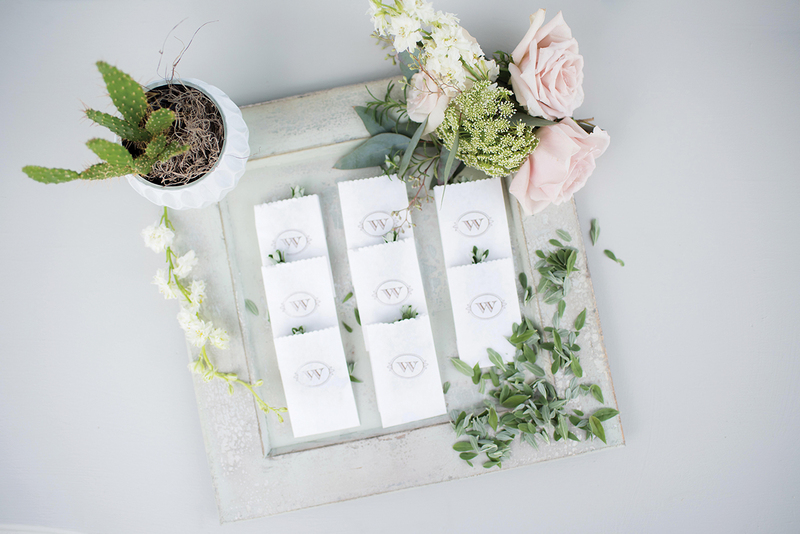 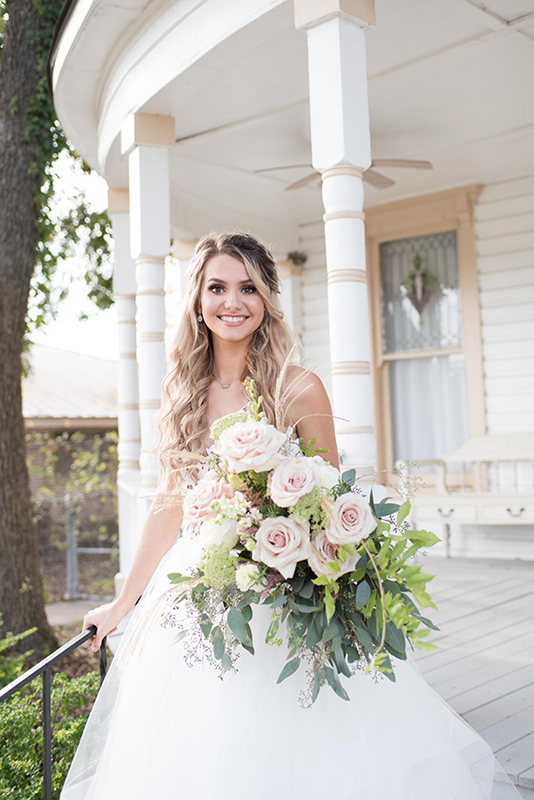 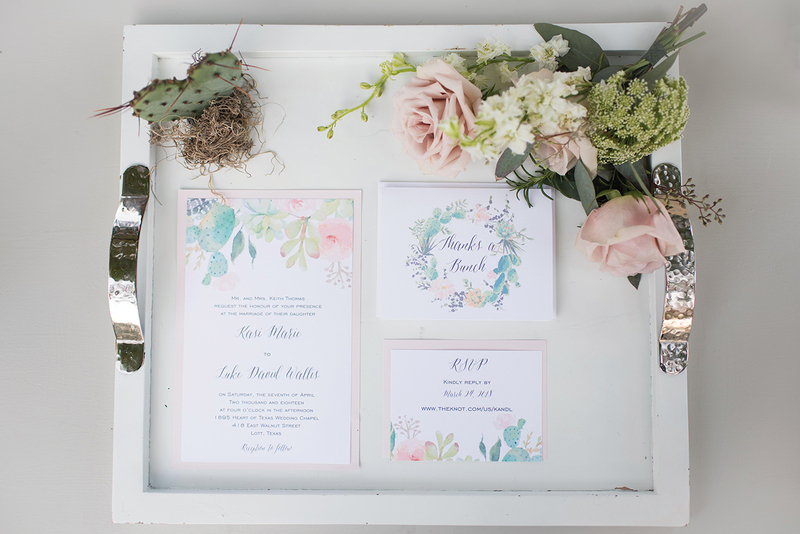 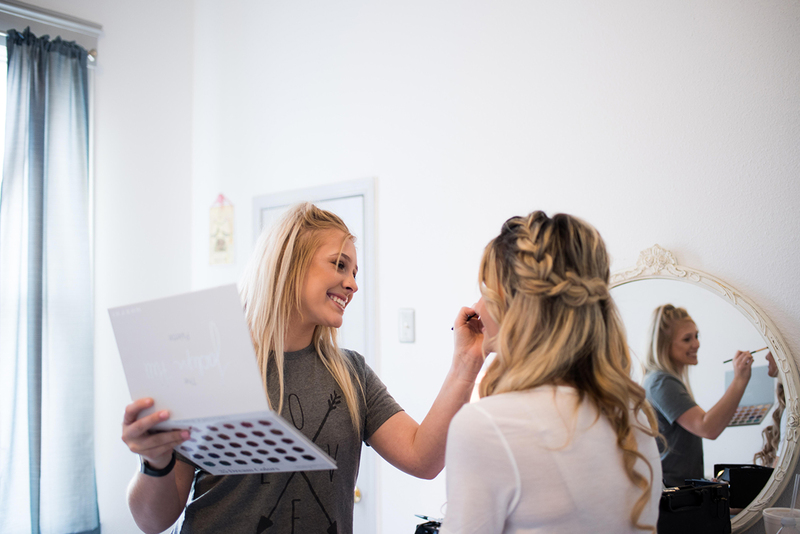 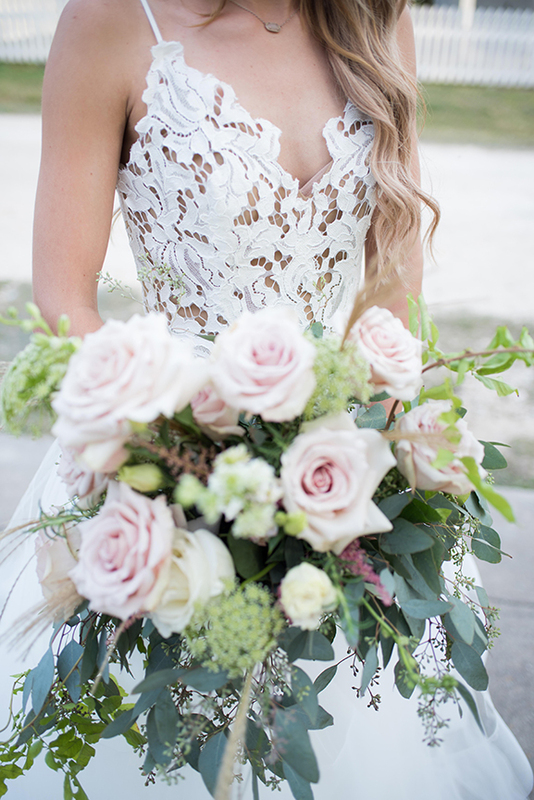 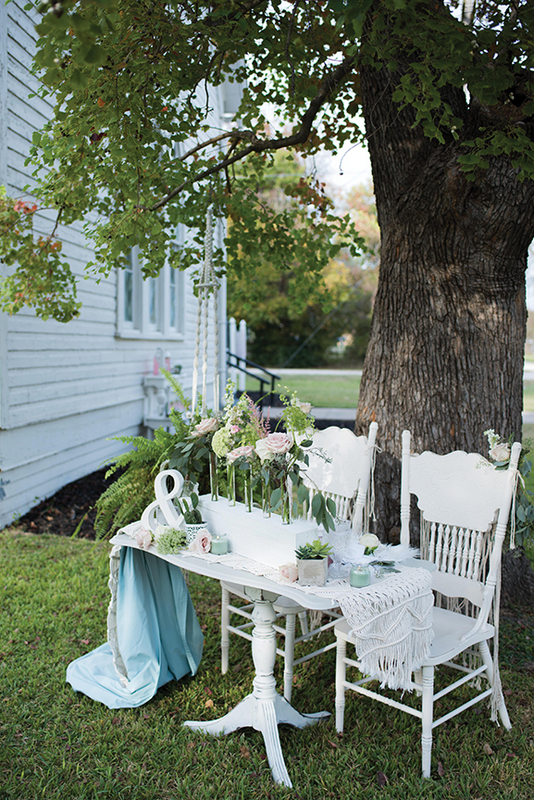 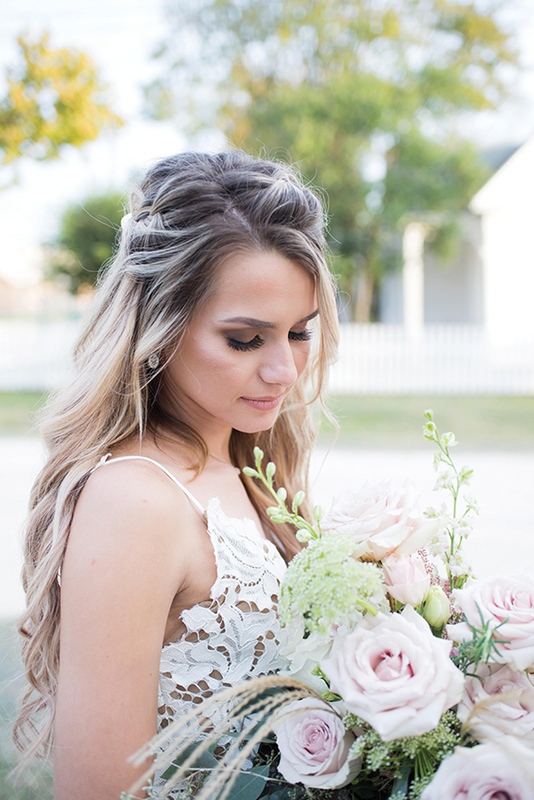 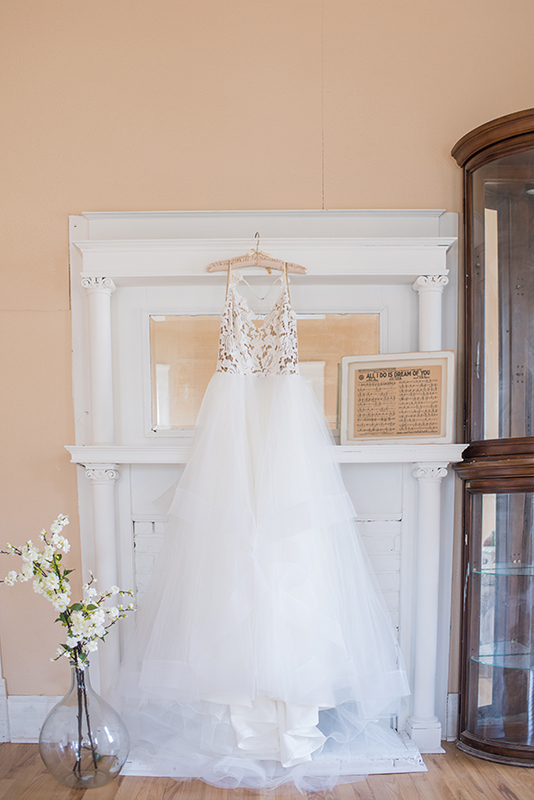 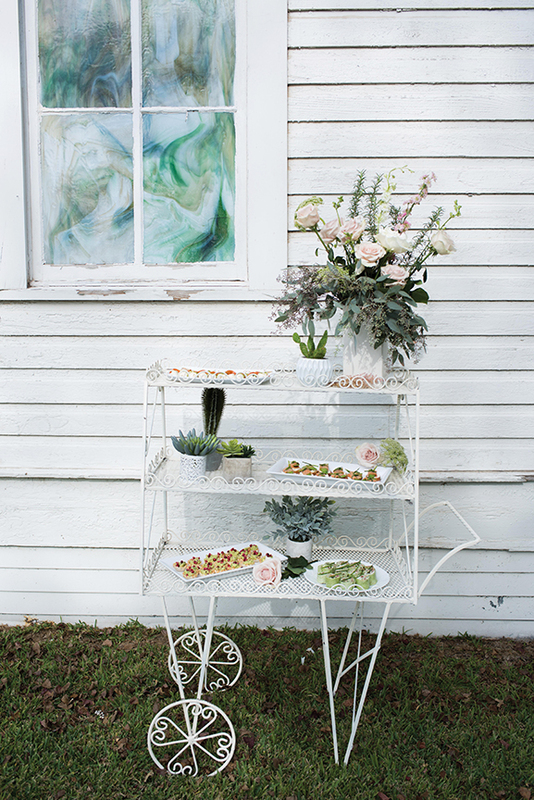 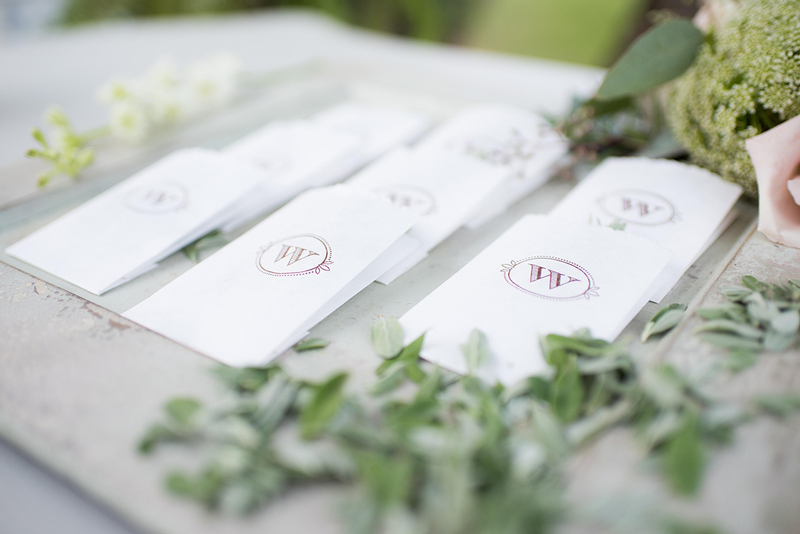 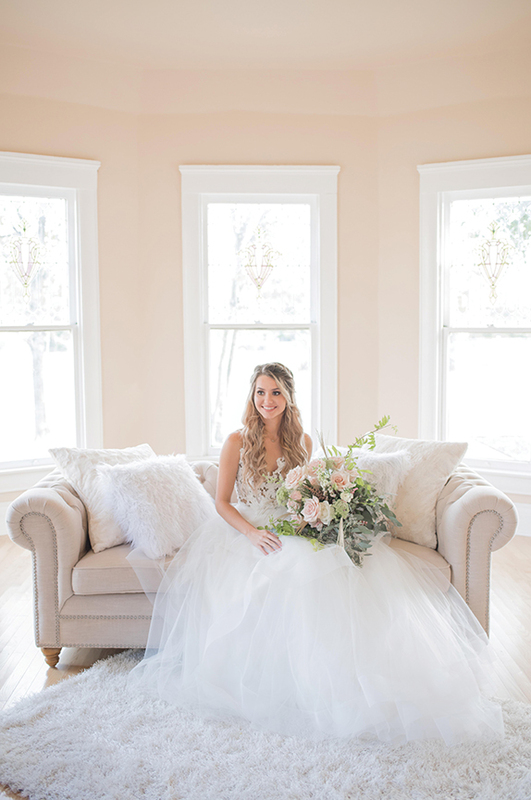 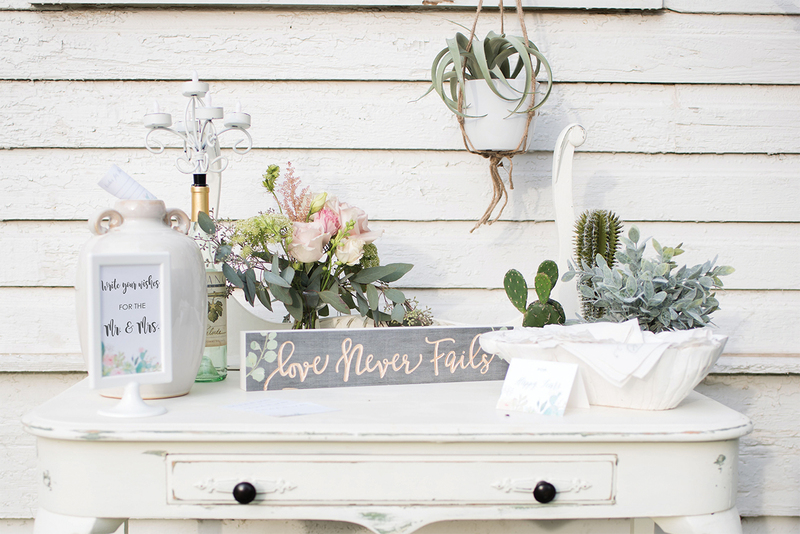 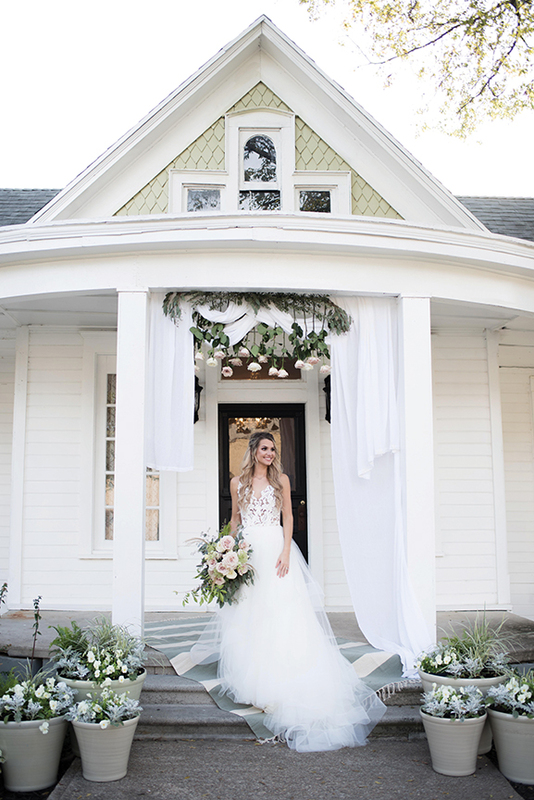 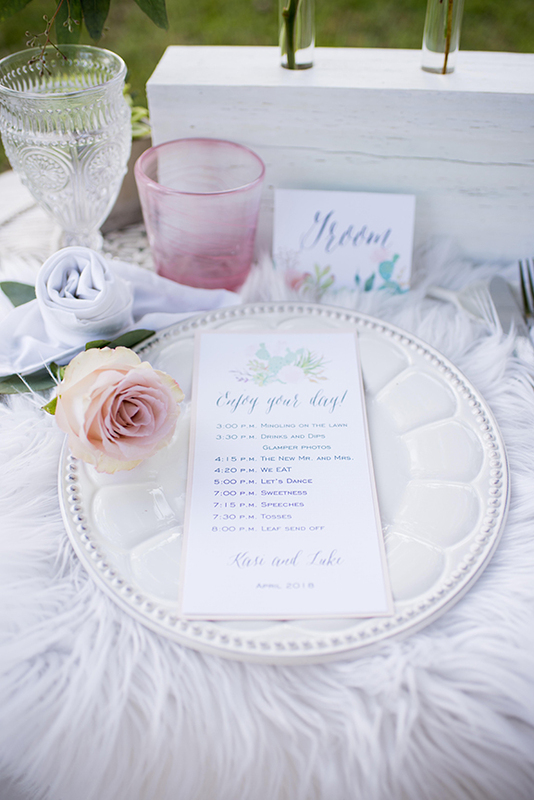 Inside the pale pink-painted bridal suite at the 1895 Heart of Texas Wedding Chapel, our bride sat surrounded by the full skirt of her bohemian-inspired wedding dress, holding a bouquet filled with blush-colored roses, and mint-colored accents. 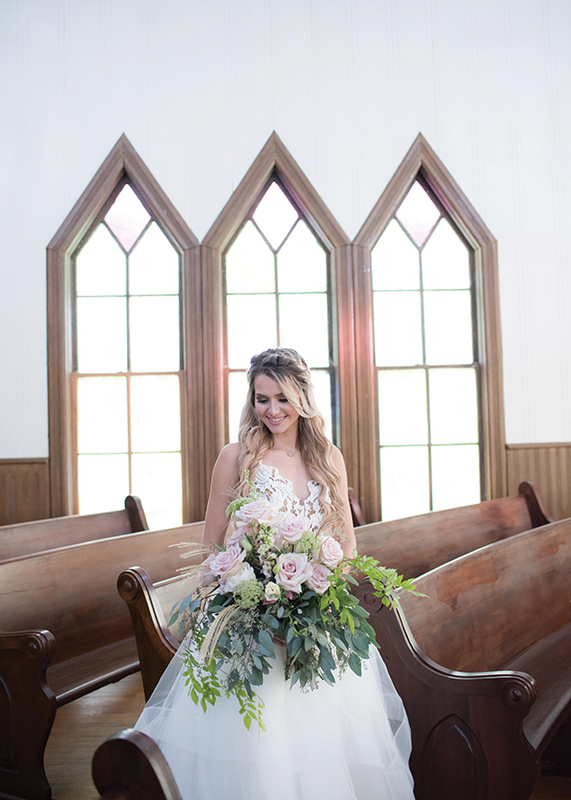 The beauty of the chapel’s Victorian details and stained-glass windows created the ideal setting for this Central Texas styled shoot. 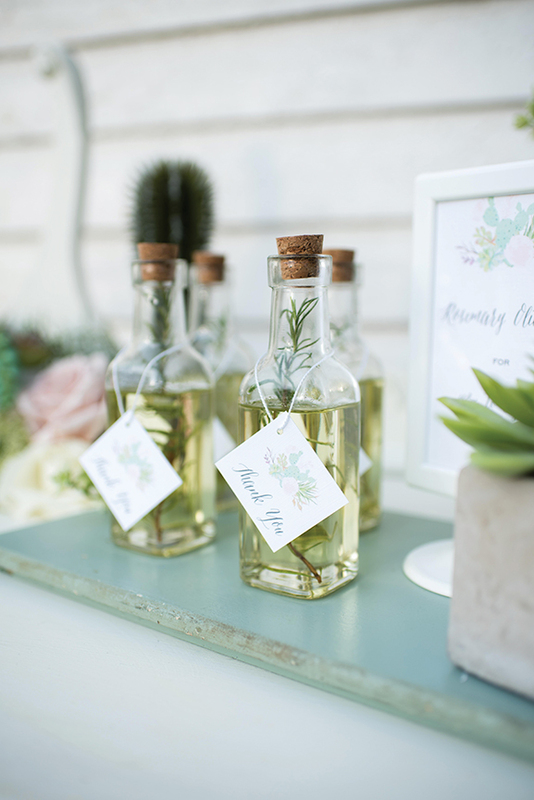 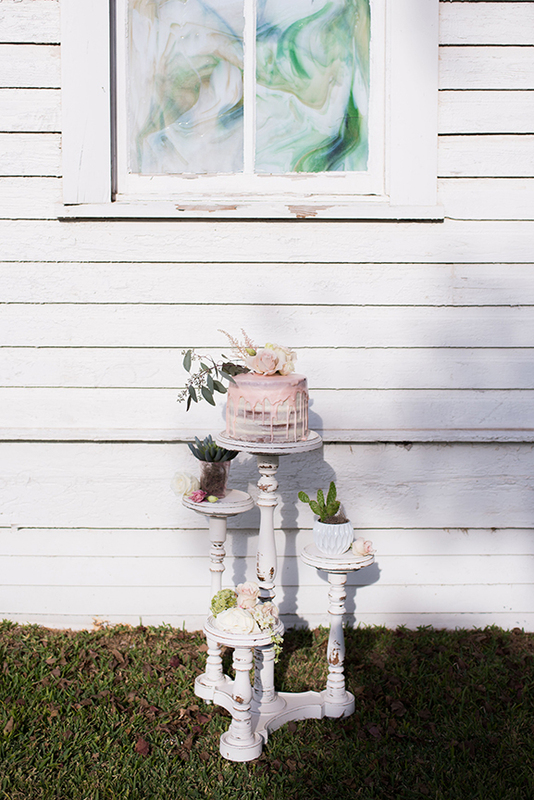 Green-hued succulents, hanging roses, and soft, white fabric framed the ceremony site, giving the venue an ethereal quality. 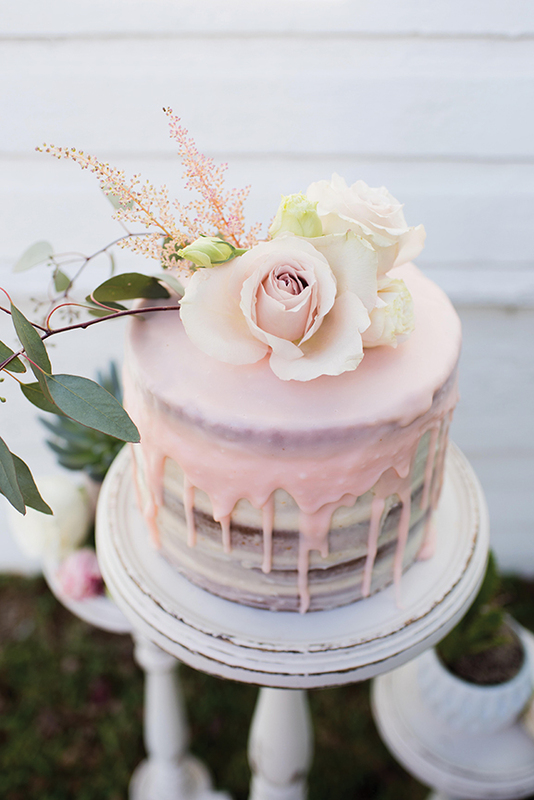 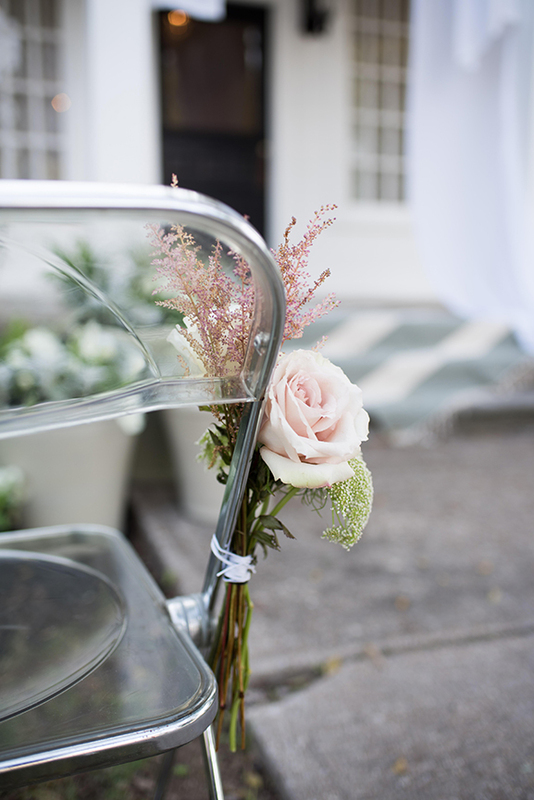 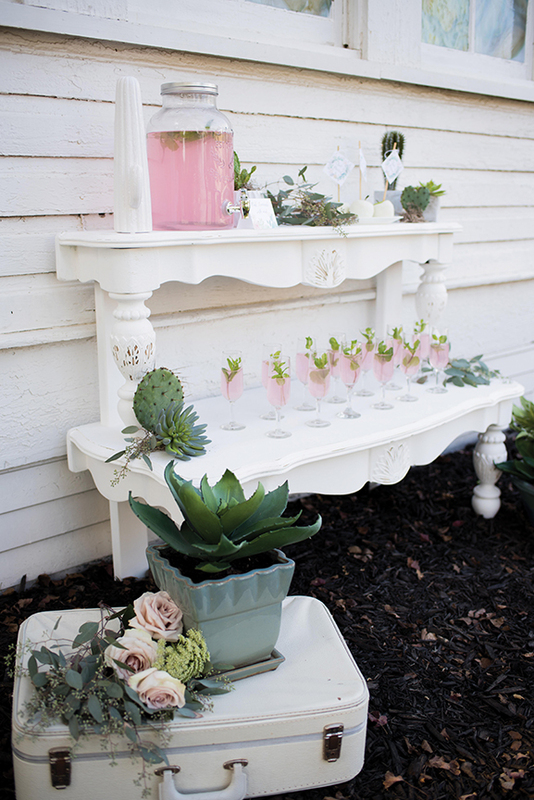 The pretty-in-pink cake, accented with delicate blooms, stood out against the venue’s white, wooden siding. 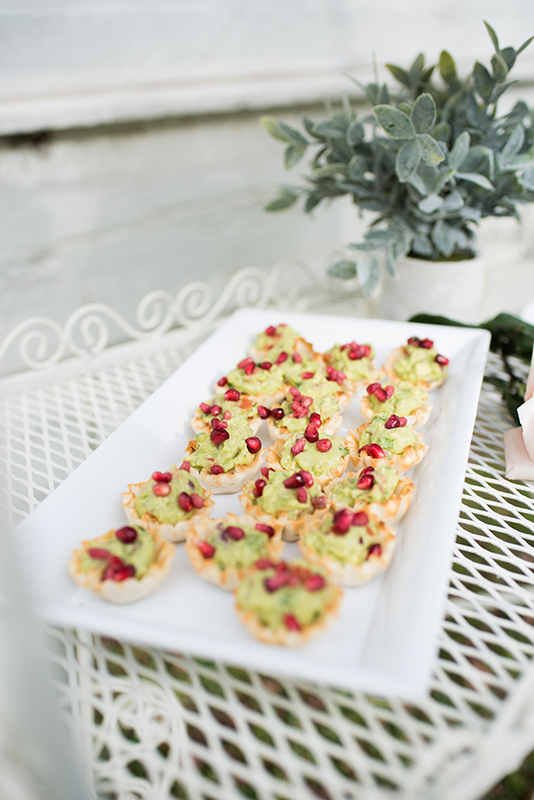 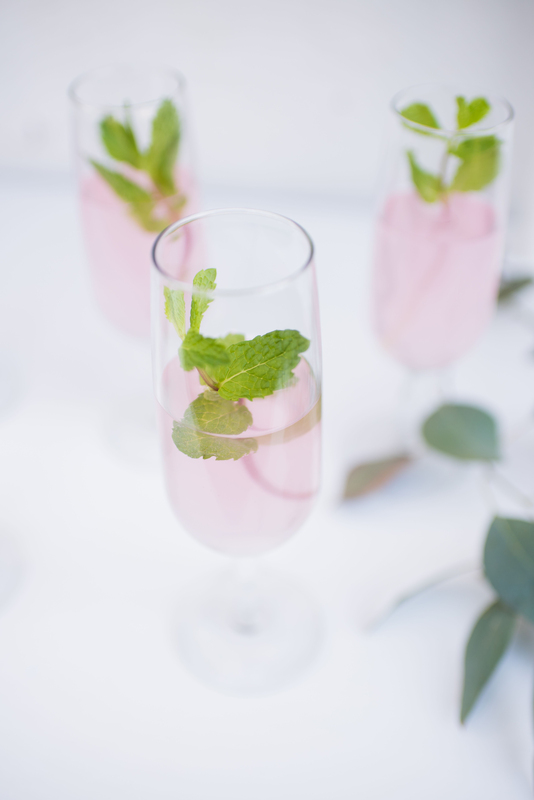 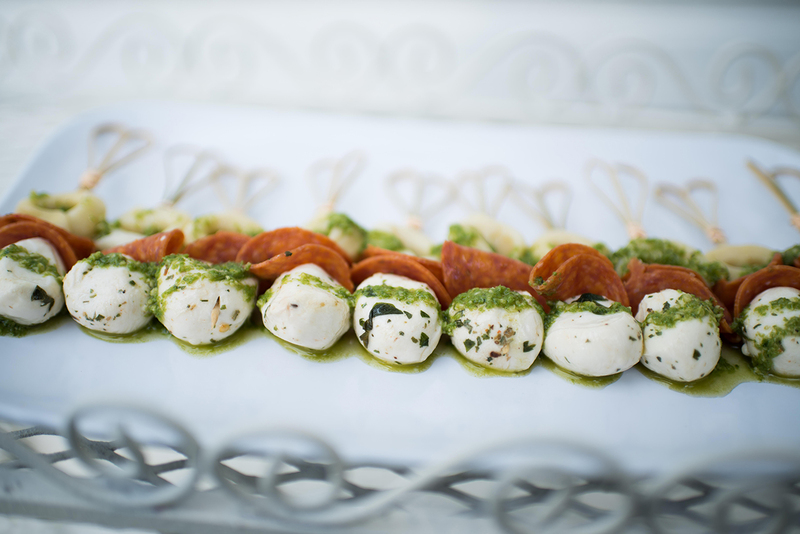 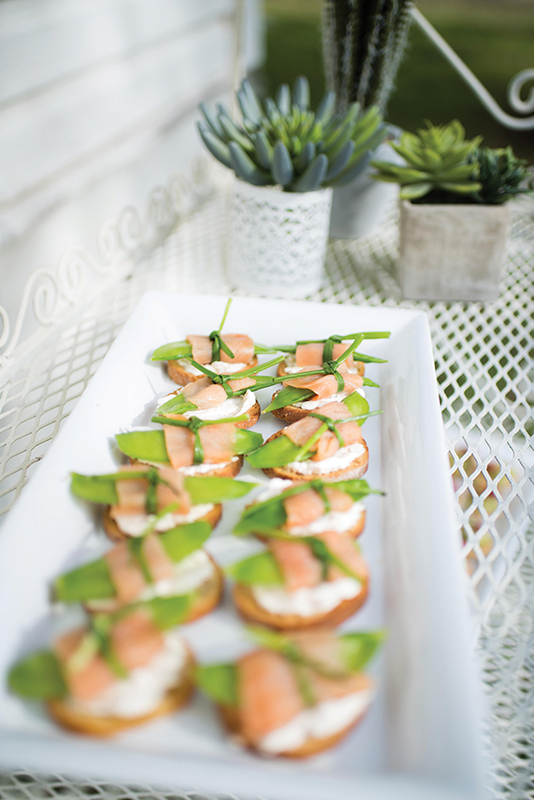 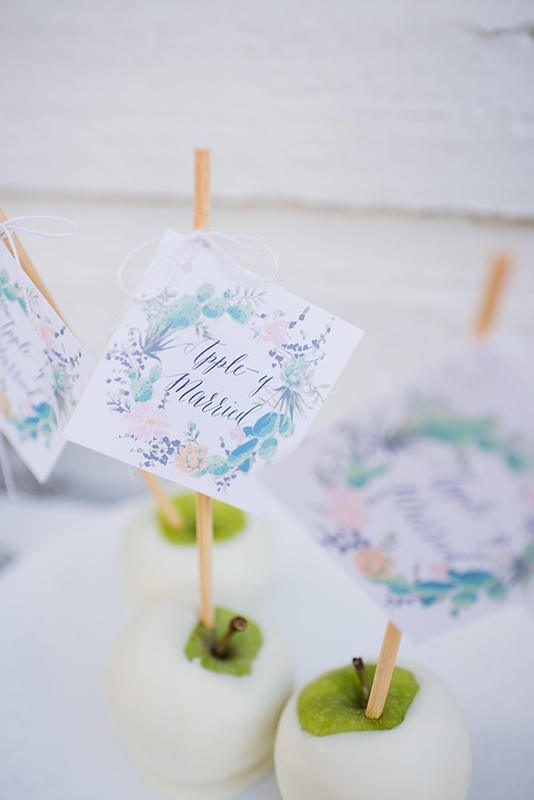 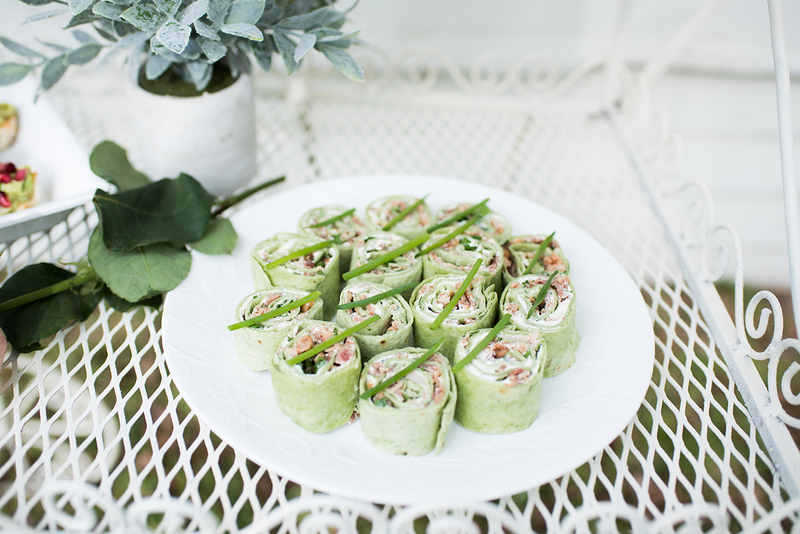 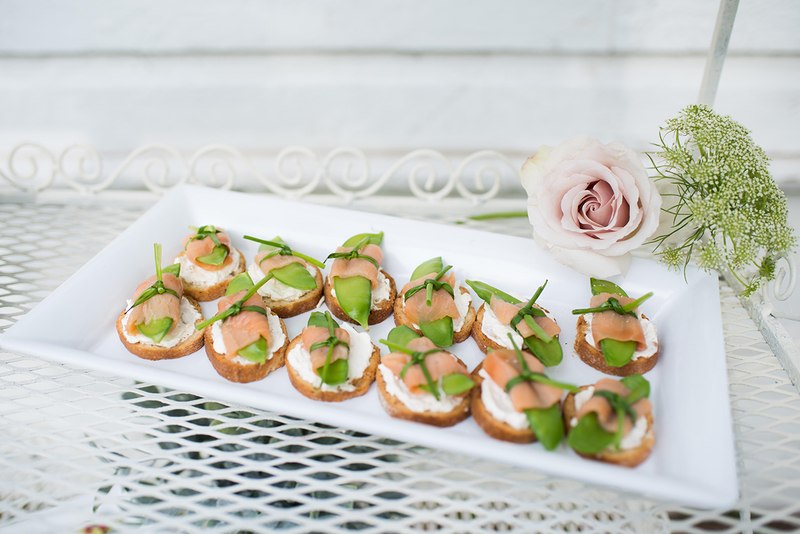 And meticulously-created hors d’oeuvres and mint-topped lemonade created the perfect garden cocktail hour. 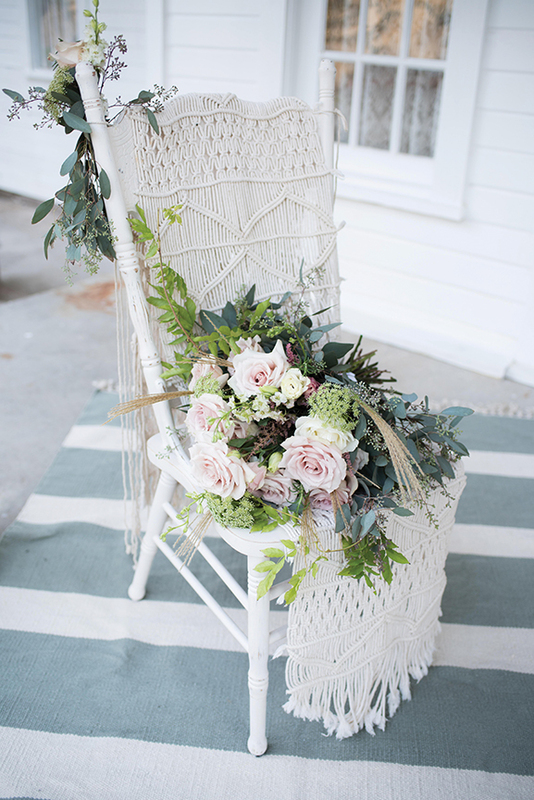 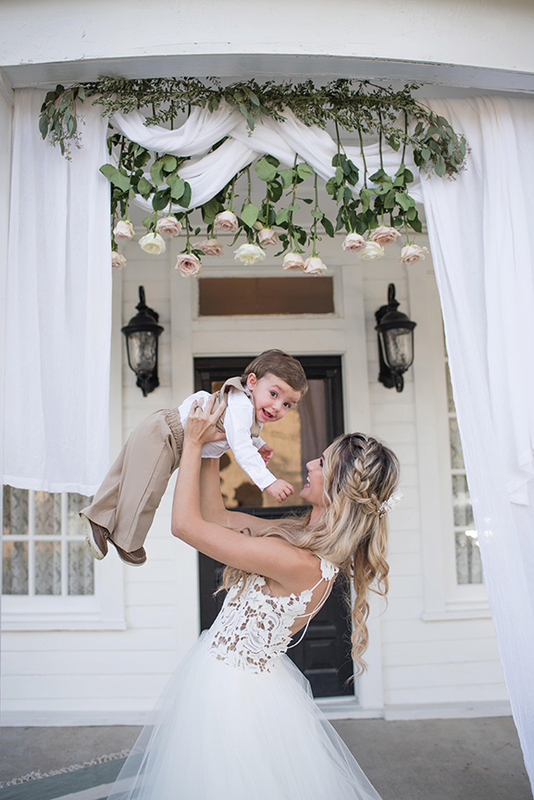 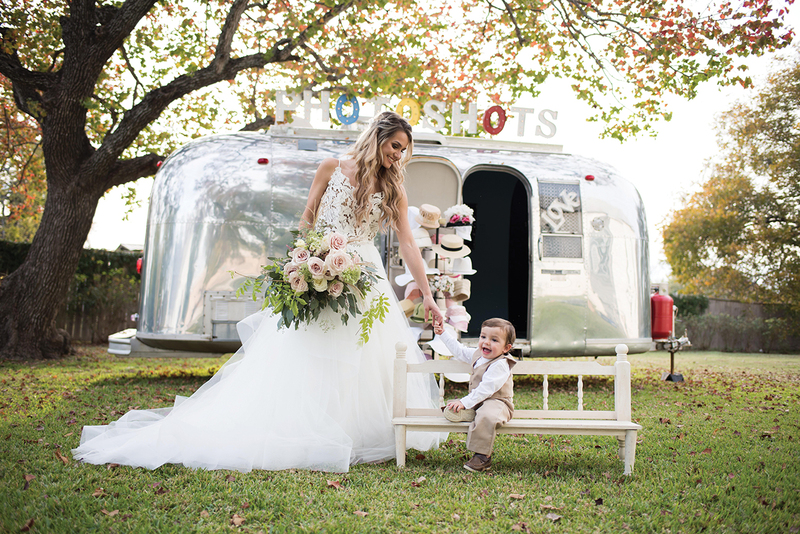 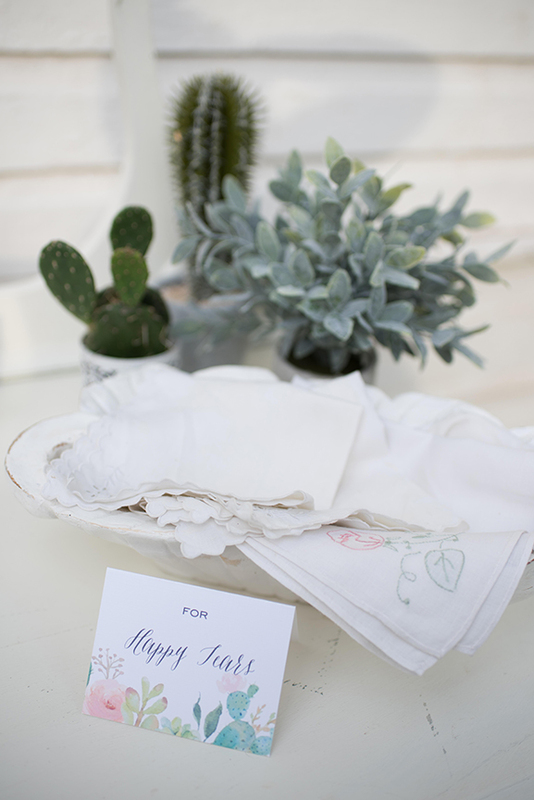 The boho theme continued throughout the shoot with macramé-style chair coverings and an airstream trailer set up as a photobooth.